The apartments feature a Queen & 2 Single bed, 2 bathrooms, air-conditioning on request, private balcony with superb ocean views, full kitchen with large fridge, oven and microwave, iron & ironing board, opening windows, Cable TV and tea & coffee making facilities. The rates are for 4 people with a maximum occupancy is 5 people and the extra person charged @ $25 per night. The Pandanus Palms Resort provides accomodation located on the magnificent North Stradbroke Island. All 2 & 3 bedroom villas feature private balconies to capture breathtaking views across Morton Island and the Coral Sea. At times whales can clearly be seen from your balcony. Enjoy a walk on the beach or in the bush, relax around the swimming pool or get physical on our full size tennis court. All this set in tropical gardens so you can be assured of a relaxing idyllic island getaway. GUARANTEED OCEAN & BEACH VIEWS!!!! Quality two bed self-contained villa with full kitchen including dishwasher and microwave, dial up Internet access, full bathroom with bath, private laundry with washing machine & dryer. All linen is provided. The private courtyard captures magic views across to Moreton and the Pacific Ocean. A wonderful spot to relax and and at times (between June & October), whales can clearly be seen from your villa. All this set in tropical gardens so you can be assured of a relaxing idyllic island getaway. Rate are for 4 guests. Maximum 5 guests . Extra charge - $20 per night per guest. Cots are available at extra charge. Quality two bed self-contained villa with full kitchen including dishwasher and microwave, dial up Internet access, Fax/Modem telephone line, full bathroom with bath, private laundry equipped with washing machine & dryer. All linen is provided. The spacious villa features open plan dining & living room with colour TV & video. Most villas have their own BBQ facilities. The private courtyard captures magic views across to Moreton Moreton Island and the Pacific Ocean. A wonderful spot to relax and at times (between June - October), whales can clearly be seen from your villa. All this set in tropical gardens so you can be assured of a relaxing idyllic island getaway. Rate is for 4 guests. Maximum of 6 guests. Extra guest charge -$20 per night per guest. Cots are available at an extra charge. Spacious self contained 2 bedroom apartment which offers a separate living/dining area with double sofa bed, air-conditioning, fully equipped kitchen with microwave, 2 bedrooms with Queen or 2 Single beds, family bathroom, private balcony, in-house movies, data port access, ironing facilities and tea/coffee making facilities. Xanadu Main Beach is situated in cosmopolitan Main Beach, Xanadu Main Beach also comprises of two towers with spectacular views of the Gold Coast. Xanadu features one and two bedroom air conditioned apartments with spacious balconies offering stunning ocean views with Main Beach directly opposite the resort. The resort facilities include an outdoor and indoor heated swimming pool each with spa, a sauna, state of the art gymnasium, library/reading room, two full sized tennis courts plus beautiful landscaped grounds with BBQ facilities. The Belle Maison 2 Bedroom Executive Apartment includes everything required for a relaxing and enjoyable Gold Coast holiday - full air conditioning, spacious luxury, private balcony and a fully equipped kitchen which includes everything necessary for self service catering. The apartment further includes 1 Queen bed in the main bedroom, 2 Single beds in the second bedroom, full bathroom, private balcony, Austar TV, laundry facilities, broadband and DVD player. The building has full security control on entry doors, lifts and the undercover car parking area, Lovely pool, BBQ & spa areas. Walk to beaches & restaurants in Broadbeach. Rates are for 4 guests. Maximum 5 guests. Extra guest charge $35.00 per night. The Belle Maison 2 Bedroom Premier Apartment includes everything required for a relaxing and enjoyable Gold Coast holiday - full air conditioning, spacious luxury, private balcony wuth GUARRANTEED OCEAN VIEWS and a fully equipped kitchen which includes everything necessary for self service catering. The apartment further includes 1 Queen bed in the main bedroom, 2 Single beds in the second bedroom, full bathroom, private balcony, Austar TV, laundry facilities, broadband and DVD player. The building has full security control on entry doors, lifts and the undercover car parking area, Lovely pool, BBQ & spa areas. Walk to beaches & restaurants in Broadbeach. Rates are for 4 guests. Maximum 5 guests. Extra guest charge $35.00 per night. Luxury beach front 2 bedroom apartment featuring 2 bathrooms, a King or Queen size bed in the main bedroom and a Queen & Single or 2 Single beds in the 2nd bedroom, walk-in robe, fully equipped kitchen, private laundry facilities, air-conditioning, TV with Free Foxtel and DVD & CD player and ocean views from the private balcony. Luxury 2 Bedroom 2 Bathroom Apartment in the iconic Chevron Towers Resort. This apartment is located on the 12th floor and features spectacular, unbroken ocean views, marble and stone top benches, beautiful wood finishes, calming colours and an abundance of natural light. The apartment comes complete with all the appointments to make your stay memorable, in fact all you need bring is your suitcase and a beach-towel. The 2 bedroom apartment comprises air conditioning and heating, a master bedroom with 1 King Size Bed, walk in robe, TV and private ensuite bathroom, a second King Size bed and TV in the second bedroom - please note that both King Beds can convert into 2 Single Beds if required - if so, please specify in the Special Requests Section of your Booking, a second private bathroom with bath, stylish open plan kitchen with modern appliances including dishwasher, crockery/cutlery, electric frying pan, microwave oven, refrigerator/freezer and stove/grill, full private laundry facilities with towels, washer, dryer, iron and ironing board, a seperate dining area, a separate lounge with 42 inch plasma TV, cable TV, CD player, DVD player, VCR, hairdryer, a spacious furnished wrap around balcony with access from the second bedroom and lounge room, radio, alarm clock, hairdryer, dial up internet access and vacuum. All linen is provided. Bathroom amenities and towels supplied on arrival. Relax on the balcony and watch the Gold Coast 'fairy land' unfold at night. Wake up to magnificent views. The rate is for 4 guests. maximum 5 guests. Extra guest charge is $22 per night. A great choice for families or 2 couples to holiday in comfort. For payment details please see the Check in/Check out Instructions. Luxury 2 Bedroom 2 Bathroom Apartment in the iconic Chevron Towers Resort. This apartment is located on the 12th floor and features spectacular, unbroken ocean views, marble and stone top benches, beautiful wood finishes, calming colours and an abundance of natural light. The apartment comes complete with all the appointments to make your stay memorable, in fact all you need bring is your suitcase and a beach-towel. The 2 bedroom apartment comprises air conditioning and heating, a master bedroom with 1 Queen Bed, walk in robe and private ensuite bathroom, 2 single beds in the second bedroom, a second private bathroom with bath, stylish open plan kitchen with modern appliances including dishwasher, crockery/cutlery, electric frying pan, microwave oven, refrigerator/freezer and stove/grill, full private laundry facilities with towels, washer, dryer, iron and ironing board, a seperate dining area, a separate lounge with 42 inch plasma TV, cable TV, CD player, DVD player, VCR, hairdryer, a spacious furnished balcony, radio, alarm clock, hairdryer, dial up internet access and vacuum. All linen is provided. Bathroom amenities and towels supplied on arrival. Relax on the balcony and watch the Gold Coast 'fairy land' unfold at night. Wake up to magnificent views. The rate is for 4 guests. maximum 5 guests. Extra guest charge is $22 per night. A great choice for families to holiday in comfort. For payment details please see the Check in/Check out Instructions. Luxury 2 Bedroom 2 Bathroom Apartment in the iconic Chevron Towers Resort. This apartment is located on the 13th floor and features spectacular, unbroken ocean views, marble and stone top benches, beautiful wood finishes, calming colours and an abundance of natural light. The apartment comes complete with all the appointments to make your stay memorable, in fact all you need bring is your suitcase and a beach-towel. The 2 bedroom apartment comprises air conditioning and heating, a master bedroom with 1 Queen Size Bed, walk in robe and private ensuite bathroom, 2 Single Beds in the second bedroom, a second private bathroom with bath, stylish open plan kitchen with modern appliances including dishwasher, crockery/cutlery, electric frying pan, microwave oven, refrigerator/freezer and stove/grill, full private laundry facilities with towels, washer, dryer, iron and ironing board, a seperate dining area, a separate lounge with 42 inch plasma TV, cable TV, CD player, DVD player, VCR, hairdryer, a spacious furnished wrap around balcony with access from the second bedroom and lounge room, radio, alarm clock, hairdryer, dial up internet access and vacuum. All linen is provided. Bathroom amenities and towels supplied on arrival. Relax on the balcony and watch the Gold Coast 'fairy land' unfold at night. Wake up to magnificent views. The rate is for 4 guests. maximum 5 guests. Extra guest charge is $22 per night. A great choice for families to holiday in comfort. For payment details, please see the Check in/Check out Instructions. Luxury 2 Bedroom 2 Bathroom Apartment in the iconic Chevron Towers Resort. This apartment is located on the 13th floor and features spectacular, unbroken ocean views, marble and stone top benches, beautiful wood finishes, calming colours and an abundance of natural light. The apartment comes complete with all the appointments to make your stay memorable, in fact all you need bring is your suitcase and a beach-towel. The 2 bedroom apartment comprises air conditioning and heating, The 2 bedroom apartment comprises air conditioning and heating, a master bedroom with 1 King Size Bed, walk in robe, private balcony, TV and private ensuite bathroom, a second King Size bed and TV in the second bedroom - please note that both King Beds can convert into 2 Single Beds if required - if so, please specify in the Special Requests Section of your Booking, a second private bathroom with bath, stylish open plan kitchen with modern appliances including dishwasher, crockery/cutlery, electric frying pan, microwave oven, refrigerator/freezer and stove/grill, full private laundry facilities with towels, washer, dryer, iron and ironing board, a seperate dining area, a separate lounge with 42 inch plasma TV, cable TV, CD player, DVD player, VCR, hairdryer, a huge furnished wrap around balcony with access from the second bedroom and lounge room, radio, alarm clock, hairdryer, dial up internet access and vacuum. All linen is provided. Bathroom amenities and towels supplied on arrival. Relax on the balcony and watch the Gold Coast 'fairy land' unfold at night. Wake up to magnificent views. The rate is for 4 guests. maximum 5 guests. Extra guest charge is $22 per night. A great choice for families or 2 couples to holiday in comfort. For payment details, please see the Check in/Check out Instructions. Luxury 2 Bedroom 2 Bathroom Apartment in the iconic Chevron Towers Resort. This apartment is located on the 16th floor and features spectacular, unbroken ocean views, marble and stone top benches, beautiful wood finishes, calming colours and an abundance of natural light. The apartment comes complete with all the appointments to make your stay memorable, in fact all you need bring is your suitcase and a beach-towel. The 2 bedroom apartment comprises air conditioning and heating, The 2 bedroom apartment comprises air conditioning and heating, a master bedroom with 1 Queen Size Bed, walk in robe, private balcony, TV and private ensuite bathroom, a second Queen Size bed, private balcony and TV in the second bedroom, a second private bathroom with bath, stylish open plan kitchen with modern appliances including dishwasher, crockery/cutlery, electric frying pan, microwave oven, refrigerator/freezer and stove/grill, full private laundry facilities with towels, washer, dryer, iron and ironing board, a seperate dining area, a separate lounge with 42 inch plasma TV, cable TV, CD player, DVD player, VCR, hairdryer, a third private balcony with access from the lounge room, radio, alarm clock, hairdryer, dial up internet access and vacuum. All linen is provided. Bathroom amenities and towels supplied on arrival. Relax on the balcony and watch the Gold Coast 'fairy land' unfold at night. Wake up to magnificent views. The rate is for 4 guests. maximum 5 guests. Extra guest charge is $22 per night. A great choice for families or 2 couples to holiday in comfort. For payment details, please see the Check in/Check out Instructions. Luxury 2 Bedroom 2 Bathroom Apartment in the iconic Chevron Towers Resort. This apartment is located on the 18th floor and features spectacular, unbroken ocean views, marble and stone top benches, beautiful wood finishes, calming colours and an abundance of natural light. The apartment comes complete with all the appointments to make your stay memorable, in fact all you need bring is your suitcase and a beach-towel. The 2 bedroom apartment comprises air conditioning and heating, The 2 bedroom apartment comprises air conditioning and heating, a master bedroom with 1 King Size Bed, walk in robe and private ensuite bathroom, 2 Single Beds in the second bedroom, a second private bathroom with bath, stylish open plan kitchen with modern appliances including dishwasher, crockery/cutlery, electric frying pan, microwave oven, refrigerator/freezer and stove/grill, full private laundry facilities with towels, washer, dryer, iron and ironing board, a seperate dining area, a separate lounge with 42 inch plasma TV, cable TV, CD player, DVD player, VCR, hairdryer, a spacious furnished private balcony with access from the lounge room, radio, alarm clock, hairdryer, dial up internet access and vacuum. All linen is provided. Bathroom amenities and towels supplied on arrival. Relax on the balcony and watch the Gold Coast 'fairy land' unfold at night. Wake up to magnificent views. The rate is for 4 guests. maximum 5 guests. Extra guest charge is $22 per night. A great choice for families to holiday in comfort. For payment details, please see the Check in/Check out Instructions. Luxury 2 Bedroom 2 Bathroom Apartment in the iconic Chevron Towers Resort. This apartment is located on the 26th floor and features spectacular, unbroken ocean views, marble and stone top benches, beautiful wood finishes, calming colours and an abundance of natural light. The apartment comes complete with all the appointments to make your stay memorable, in fact all you need bring is your suitcase and a beach-towel. The 2 bedroom apartment comprises air conditioning and heating, a master bedroom with 1 Queen Bed, walk in robe, plasma TV and private ensuite bathroom, 2 single beds that can zip up together into a king bed in the second bedroom, a second private bathroom with bath, stylish open plan kitchen with modern appliances including dishwasher, crockery/cutlery, electric frying pan, microwave oven, refrigerator/freezer and stove/grill, full private laundry facilities with towels, washer, dryer, iron and ironing board, a seperate dining area, a separate lounge with 42 inch plasma TV, cable TV, CD player, DVD player, VCR, hairdryer, a spacious furnished wrap around balcony with access from second bedroom and loungeroom, radio, alarm clock, hairdryer and vacuum. Free local calls and dial up internet access. All linen is provided. Bathroom amenities and towels supplied on arrival. Relax on the balcony and watch the Gold Coast 'fairy land' unfold at night. Wake up to magnificent views. The rate is for 4 guests. Maximum 5 guests. Extra guest charge is $22 per night. A great choice for families to holiday in comfort. For payment details please see the Check in/Check out Instructions. Luxury 2 Bedroom 2 Bathroom Apartment in the iconic Chevron Towers Resort. This apartment is located on the 28th floor and features spectacular, unbroken ocean views, marble and stone top benches, beautiful wood finishes, calming colours and an abundance of natural light. The apartment comes complete with all the appointments to make your stay memorable, in fact all you need bring is your suitcase and a beach-towel. The 2 bedroom apartment comprises air conditioning and heating, The 2 bedroom apartment comprises air conditioning and heating, a master bedroom with 1 Queen Size Bed, walk in robe, TV, DVD player and private ensuite bathroom, 2 Single Beds in the second bedroom, a second private bathroom with bath, stylish open plan kitchen with modern appliances including dishwasher, crockery/cutlery, electric frying pan, microwave oven, refrigerator/freezer and stove/grill, full private laundry facilities with towels, washer, dryer, iron and ironing board, a seperate dining area, a separate lounge with 42 inch plasma TV, cable TV, CD player, DVD player, VCR, hairdryer, a spacious furnished private balcony with access from the lounge room, radio, alarm clock, hairdryer, dial up internet access and vacuum. All linen is provided. Bathroom amenities and towels supplied on arrival. Relax on the balcony and watch the Gold Coast 'fairy land' unfold at night. Wake up to magnificent views. The rate is for 4 guests. maximum 5 guests. Extra guest charge is $22 per night. A great choice for families to holiday in comfort. For payment details, please see the Check in/Check out Instructions. Luxury 2 Bedroom 2 Bathroom Apartment in the iconic Chevron Towers Resort. This apartment is located on the 33rd floor and features spectacular, unbroken ocean views, marble and stone top benches, beautiful wood finishes, calming colours and an abundance of natural light. The apartment comes complete with all the appointments to make your stay memorable, in fact all you need bring is your suitcase and a beach-towel. The 2 bedroom apartment comprises air conditioning and heating, The 2 bedroom apartment comprises air conditioning and heating, a master bedroom with 1 Queen Size Bed, walk in robe, private balcony and private ensuite bathroom, 2 Single Beds in the second bedroom, a second private bathroom with bath, stylish open plan kitchen with modern appliances including dishwasher, crockery/cutlery, electric frying pan, microwave oven, refrigerator/freezer and stove/grill, full private laundry facilities with towels, washer, dryer, iron and ironing board, a seperate dining area, a separate lounge with 42 inch plasma TV, cable TV, CD player, DVD player, VCR, hairdryer, a second spacious furnished private balcony with access from the second bedroom and loungeroom, radio, alarm clock, hairdryer, dial up internet access and vacuum. All linen is provided. Bathroom amenities and towels supplied on arrival. Relax on the balcony and watch the Gold Coast 'fairy land' unfold at night. Wake up to magnificent views. The rate is for 4 guests. maximum 5 guests. Extra guest charge is $22 per night. A great choice for families to holiday in comfort. For payment details, please see the Check in/Check out Instructions. Luxury 2 Bedroom 2 Bathroom Apartment in the iconic Chevron Towers Resort. This apartment is located on the 35th floor and features spectacular, unbroken ocean views, marble and stone top benches, beautiful wood finishes, calming colours and an abundance of natural light. The apartment comes complete with all the appointments to make your stay memorable, in fact all you need bring is your suitcase and a beach-towel. The 2 bedroom apartment comprises air conditioning and heating, The 2 bedroom apartment comprises air conditioning and heating, a master bedroom with 1 Queen Size Bed, walk in robe and private ensuite bathroom, 2 Single Beds in the second bedroom, a second private bathroom with bath, stylish open plan kitchen with modern appliances including dishwasher, crockery/cutlery, electric frying pan, microwave oven, refrigerator/freezer and stove/grill, full private laundry facilities with towels, washer, dryer, iron and ironing board, a seperate dining area, a separate lounge with 42 inch plasma TV, cable TV, CD player, DVD player, VCR, hairdryer, a wrap around furnished private balcony, radio, alarm clock, hairdryer, dial up internet access and vacuum. All linen is provided. Bathroom amenities and towels supplied on arrival. Relax on the balcony and watch the Gold Coast 'fairy land' unfold at night. Wake up to magnificent views. The rate is for 4 guests. maximum 5 guests. Extra guest charge is $22 per night. A great choice for families to holiday in comfort. For payment details, please see the Check in/Check out Instructions. Luxury 2 Bedroom 2 Bathroom Apartment in the iconic Chevron Towers Resort. This apartment is located on the 27th floor and features spectacular, unbroken river views, marble and stone top benches, beautiful wood finishes, calming colours and an abundance of natural light. The apartment comes complete with all the appointments to make your stay memorable, in fact all you need bring is your suitcase and a beach-towel. The 2 bedroom apartment comprises air conditioning and heating, a master bedroom with 1 Queen Bed, walk in robe, plasma TV, private balcony and private ensuite bathroom, 2 single beds in the second bedroom, a second private bathroom with bath, stylish open plan kitchen with modern appliances including dishwasher, crockery/cutlery, electric frying pan, microwave oven, refrigerator/freezer and stove/grill, full private laundry facilities with towels, washer, dryer, iron and ironing board, a seperate dining area, a separate lounge with 42 inch plasma TV, cable TV, CD player, DVD player, VCR, hairdryer, a second spacious furnished balcony with access from the second bedroom and lounge room, radio, alarm clock, hairdryer, and vacuum. Free local calls and dial up internet access. All linen is provided. Bathroom amenities and towels supplied on arrival. Relax on the balcony and watch the Gold Coast 'fairy land' unfold at night. Wake up to magnificent views. The rate is for 4 guests. maximum 5 guests. Extra guest charge is $22 per night. A great choice for families to holiday in comfort. For payment details please see the Check in/Check out Instructions. Queen size bed in main bedroom, 2 single beds in second bedroom and some with a fold out sofa bed in the lounge. Sunny balcony with ocean views. Located in the heart of Broadbeach opposite the beach, Restaurants, Conference Centre, Pacific Fair and Jupiters Casino. Modern and spacious 2 bedroom air conditioned, non smoking apartment featuring 1 Queen Bed in the main bedroom, which has its own private ensuite bathroom, 2 Single Beds in the second bedroom, a fully equipped kitchen with full crockery/cutlery, dishwasher, microwave oven and refrigerator, seperate lounge area with colour TV, pay/satellite TV, telephone, rollaway bed (if required), large private balcony with outdoor setting, second bathroom with bath, all linen and blankets, clock, radio, seperate private laundry with washing machine and clothes dryer, hairdryer and iron/ironing board. Rate is for 4 guests. Maximum occupancy is 5 guests. Additional guest charge is $30 per guest aged 3 and over. Children up to 2 stay free in existing bedding. Cots are available at extra charge - $8 per night. Run of House room. Fully self contained 2 bedroom apartment with the main bedroom with a Queen size bed and ensuite bathroom, second bedroom with 2 Single beds, fully self contained kitchen, separate dining and lounge area, balconies overlooking the beach, air-conditioning, private laundry facilities, hair dryer, TV with cable TV and direct dial phones. 3.5 Star 2 Bedroom/2 Bathroom fully furnished with a self contained kitchen, television (including Foxtel) and laundry. 60 metre walk to one of the cleanest beaches in the Gold Coast. Bedding Configuration is 1 x Queen bed & 2 x Single Beds. Rate covers 4 guests. Maximum capacity 5. Extra guests $30.00 per night for a Rollaway Bed. Absolute beachfront building, Hinterland/ocean views, heated pool, beach BBQ, Fox, DVD, security parking, cable b/band avail. No Schoolies. Address : 45 Hayle Street, Burleigh Heads, QLD, 4220. Fully self contained 2 bedroom apartment with stunning ocean views. Spacious living area, private balcony, and queen bed and 2 single beds in bedrooms. Stay for a week, or for weeks on end! Absolute beachfront building, magnificent ocean views, heated pool, beach BBQ, Fox DVD, security parking, cable b/band avail. No schoolies. Two Bedroom Split Level Deluxe Penthouse -stylish contemporary furnishings. Upstairs master suite with large ensuite and in-room spa bath and private balcony. Further comprises full kitchen, laundry facilities, fully airconditioning, Austar Digital TV, private balconies and High Speed Broadband Internet. Bedding configuration: 1 Queen Bed upstairs and 2 Single Beds (or 1 King Bed) in the second bedroom downstairs. Rates are for 4 people. Maximum of 5 guests (5th guest will be accomodated in a rollaway bed). Extra guest charge $30.00 per person per night. Two Bedroom Split Level Standard Penthouse Apartment furnished in the traditional Queensland tropical theme with bright vibrant decor and furnishings. Upstairs master suite with large ensuite inc. in-room spa bath and private balcony. Further comprises full kitchen, laundry facilities, fully airconditioning, Austar Digital TV and High Speed Broadband Internet. Bedding configuration: 1 Queen Bed upstairs and 2 Singles in the second bedroom downstairs. Rates are for 4 people. Maximum of 5 guests (5th guest will be accomodated in a sofa bed). Extra guest charge $30.00 per person per night. The great value family holiday accommodation on the Queensland Gold Coast stay at the DeVille's luxury apartments, which are ideally positioned within easy reach of most of the Gold Coast's major tourist attractions. The canals of Surfers Paradise make for a nice leisurely cruise or you can relax at the Marina Mirage's waterfront bars, cafes and boutiques which are just a short walk away from DeVille Apartments. Excellent discount rates are avilable for longer stay at the Deville Apartments Gold Coast. Apartment with large balcony overlooking Marina Mirage and the beach to the North and the beach and Surfers Paradise to the South. Spacious lounge and dining room, master bedroom with walk in robes and ensuite, bathroom and toilet, laundry room and fully equipped kitchen. Spacious two bedroom self contained apartment with balcony and stunning ocean views. Perfect for family getaways and longer stays. 2 bedroom apartment complete with a fully equipped kitchen, private laundry facilities, TV with free cable TV, private balcony, air-conditioning, internet access, hair dryer, secure undercover parking, free use of hotel's pool and heated spa. The spacious two bedroom apartments at the Points North Apartments feature a Queen & 2 Single beds, full kitchen and laundry facilities and a spacious balcony offering stunning ocean or hinterland views. Spacious 2 bedroom apartment which features 2 bedrooms -1 queen bed in the main bedroom and 2 single beds in the second bedroom, a fully self contained kitchen, combined lounge dining, full laundry facilities, private balcony over looking the magnificent Surfers Paradise beach, Foxtel & security parking for 1 car. Linen supplied weekly. Rates are for 4 guests. Maximum 4 guests. The spacious 2 Bedroom Apartment is fully air conditioned and self contained featuring a Queen bed in the spacious master bedroom (which has a private ensuite bathroom), 2 single beds in the second bedroom, a second bathroom with bath and shower, a gourmet kitchen with all the mod cons including microwave, dishwasher, crockery, cutlery and all glassware, air conditioning & heating, a large furnished private balcony with delightful river/hinterland views, all bedding & linen, a private laundry with washer & dryer, Cable TV + DVD + Stereo + CD player, Broadband internet, television in both the lounge and bedroom, STD and ISD telephone, iron/ ironing board, hairdryer and clock radio. Rate is for 4 guests. Maximum 5 guests. Extra guest charge $30 per night per guest aged 4 and over. Children up to 3 stay free in existing bedding. Cots are $15 per night. Spacious 2 bedroom apartment which features 2 bedrooms -1 queen bed in each bedroom, a fully self contained kitchen, combined lounge dining, full laundry facilities, private balcony over looking the magnificent Surfers Paradise beach, Foxtel & security parking for 1 car. Linen supplied weekly. Rates are for 4 guests. Maximum 4 guests. Sleeps 4. Maximum 4. Bedding consists of 2 queen beds with full kitchen & laundry facilities,one bathroom,foxtel,security parking set opposite the beautiful Surfers Paradise beach. Economy 2 bedroom apartment which features 2 bedrooms -1 queen bed in each bedroom, a fully self contained kitchen, combined lounge dining, full laundry facilities, private balcony over looking the magnificent Surfers Paradise beach, Foxtel & security parking for 1 car. Linen supplied weekly. Rates are for 4 guests. Maximum 4 guests. Sleeps 4. Maximum 4. Bedding consists of 2 queen beds with full kitchen & laundry facilities,one bathroom,foxtel,security parking set opposite the beautiful Surfers Paradise beach. Stunning Beachside Accommodation, fully self-contained, fully air-conditioned apartments with beautiful views of the tropical gardens and swimming pool and spa area. A short stroll to the fabulous Kirra Beach. Comprising of 2 bedrooms (queen bed in the master bedroom and twin singles or a double-bed in the second), 2 bathrooms, fully equipped kitchen, laundry, living area / lounge and private balconies. A parking space in a secure underground car park is also available (a 1.9m height restriction applies). Rates are for 4 people. Maximum occupancy is 5 people; charges apply for the extra guest. FREE Austar cable & movies. Comfortable and spacious 2 bedroom with open plan Lounge, Dining room & kitchen, comprising 1 Queen bed in the master bedroom and 2 Single beds in the second bedroom,a fully equipped kitchen including microwave oven, fridge/freezer, dishwasher, wall oven and grill, a large private bathroom with bath, full laundry facilities with washing machine and dryer, lounge area with colour TV, ceiling fans, cable TV, large private balcony,ironing equipment and wireless internet access. Rate is for 4 guests. Maximum 5 guests. Extra charge of $25 per night per guest aged 3 and over. Children under 3 are free if using existing bedding. Porta-cots & high chairs are available at $8 per night each. Rates are for 4 people. Maximum occupancy is 5. Extra guest is $25/night. Bedding configuration is a queen/double bed and 2 Single beds. Children under 3 are free if using existing bedding. Fully self contained apartments with private balconies & ocean & district views. Comfortable furnishings and modern. Feature full kitchen with stove/hotplates and a large refrigerator, microwave, some apartments come a with dishwasher. All have necessary crockery, cutlery, utensils and glassware. There is a separate lounge/dining area, most rooms have ensuite bathrooms, all linen requirements & separate bathroom and laundry facilities. There is also wireless broadband connectivity. The 2 Bedroom Spa Apartment is a self contained, brand new, fully air conditioned apartment located directly opposite Burleigh's prestigious and beautiful beachfront and close to alfresco dining, surfclubs, taverns and transport. The apartment interiors reflect understated luxury with large, flowing living spaces. The generous balcony captures cooling ocean breezes and the changing moods of natural light, featuring access from both the master bedroom and the seperate living area. The apartment further comprises modern furnishings, a master bedroom with your choice of either 1 Queen bed or 2 Single beds ( please specify preference in the Special Requests section of your Booking), a second bedroom with 1 Single bed,a private bathroom with separate shower & SPA bath, seperate spacious living area, a European styled fully equipped kitchen including full size refrigerator, dishwasher and microwave oven, full laundry facilities with washing machine and clothes dryer, broadband internet, plasma colour TV, free digital cable Foxtel TV, stereo/CD player, DVD player, video cassette recorder, ISD/STD direct dial telephone, intercom & security, fax /modem telephone line, hairdryer, radio, alarm clock and ironing equipment. The rate is for 3 guests. Maximum occupancy is 3 guests. Extra guest charge is $25 per night. The 2 Bedroom 2 Bathroom Spa Apartment is a self contained, brand new, fully air conditioned apartment located directly opposite Burleigh's prestigious and beautiful beachfront and close to alfresco dining, surfclubs, taverns and transport. The apartment interiors reflect understated luxury with large, flowing living spaces. The generous balcony captures cooling ocean breezes and the changing moods of natural light, featuring access from both the master bedroom and the seperate living area. The apartment further comprises modern furnishings, a master bedroom with your choice of either 1 Queen bed or 2 Single beds ( please specify preference in the Special Requests Section of your Booking), a second bedroom with your choice of either 1 Queen bed or 2 Single beds( please specify preference in the Special Requests Section of your Booking),a private bathroom with separate shower & SPA bath, a second bathroom, a seperate spacious living area, a fully equipped European styled kitchen including full size refrigerator, dishwasher and microwave oven, full laundry facilities with washing machine and clothes dryer, broadband internet, plasma colour TV, free digital cable Foxtel TV, stereo/CD player, DVD player, video cassette recorder, ISD/STD direct dial telephone, intercom & security, fax /modem telephone line, hairdryer, radio, alarm clock and ironing equipment. The rate is for 4 guests. Maximum occupancy is 5 guests. Extra guest charge is $25 per night. The Gold Coast accommodation at the Norfolk Apartments is located opposite the lovely Main Beach. These 2 and 3 bedrooms luxury apartments in Main Beach are by far the largest and most spacious that you will find on the beach front on the Queensland Gold Coast with 17½ squares or 155m2 for each apartment. Most of the apartments have an incredible sea views, some all the way to Coolangatta, while most of the apartments have a 310 degree extra mountain and river views from the 2 private balconies. Fully renovated these Gold Coast Apartments have been tastefully decorated and are fully self contained, with a separate kitchen, dining and laundry room, A/C, plasma TV complete with Foxtel Digital Movie and Sports package. Other services at the Norfolk Luxury Beachfront Apartments include fast wireless internet broadband connection at the lobby, heated swimming pool, sauna, heated spa, undercover BBQ area and full size tennis court. 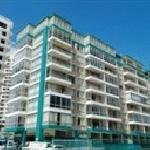 2 Bedroom Apartment located opposite patrolled flags in the heart of Main Beach. This huge 2 Bedroom, 17.5 Sq metre apartment has rate that are for 4 people but the maximum occupancy is 6 with the extra guests charge is $30 pp/per night. Most apartments are beachfront with great sea and mountain views and most have Foxtel digital & air-conditioning. The 2 Bedroom 2 Bathroom Apartment is a self-contained hi-rise apartment facing north-east to capture the most of the warm Queensland sun and featuring spectacular ocean views and a large private balcony. The apartment further offers a seperate master bedroom with 1 Queen Size Bed and private ensuite bathroom, a second seperate bedroom with 2 Single Beds, a second private bathroom with bath, shower, hairdryer and toilet, a seperate spacious lounge dining room, ceiling fans, sofa and lounge suite, dining chairs and table, facsimile/modem point, wireless internet access, ISD phone, colour TV, FREE cable TV, self contained kitchen with full cooking facilities including refrigerator, crockery/cutlery, dishwasher, microwave oven, stove and tea/coffee making facilities, all linen, towels and blankets, wake up calls, radio, alarm clock, security intercom, private laundry facilities with a washing machine, clothes dryer and iron/ironing board. The rate is for 4 guests. The apartment caters for a maximum of 5 guests. The extra guest charge is $25.00 per night. Children under 2 stay FREE OF CHARGE if using existing bedding. The 2 Bedroom apartments are fully self-contained with a queen and 2 single beds, 2 bathrooms, a fully equipped kitchen with microwave & dishwasher and a laundry with washing machine and dryer. The 2nd and 3rd floor apartments have comfortable sized balconies, whilst the ground floor apartments have very large balconies on which the adults can relax, or young children can play. Capturing the spirit and essence of fabulous Main Beach, the Oscar on Main is a first class resort offering 1 & 2 bedroom luxury self contained apartment accomodation just minutes from Australia's famous Gold Coast beaches and local attractions. Boasting idyllic landscaped gardens, supreme ocean views and excellent facilities, a stay at Oscar on Main is the ultimate indulgence for your next Gold Coast holiday. Find yourself in the heart of exclusive Main Beach, perfectly situated to experience the stylish restaurants and boutique shops lining Tedder Avenue. A short stroll takes you to glorious Main Beach where you can feel the sand between your toes and soak up the famous Queensland sunshine. So why not take the opportunity to sample stylish Main Beach and enjoy the luxury on offer at Oscar on Main. Spacious, luxury self contained and fully air conditioned 2 bedroom apartment with 2 bathrooms and magnificent ocean views. The apartment comprises 1 King Bed in the master bedroom, 1 King or 2 Single Beds in the second bedroom, 2 spacious bathrooms, fully equipped gourmet granite kitchen, private laundry facilities, spacious lounge and dining area, broadband internet access, Fax/ Modem/Phone, hairdryer, iron/ironing board, colour TV with Free Austar, DVD player, CD player and private balcony with fantastic views. Rate is for 4 guests. Max 6 guests. Extra guest charge $33.00 per guest per night. Cots are extra - $6.60 per night. For your enjoyment, we provide discounted 10% off vouchers for local restaurants. The two bedroom luxury apartment features substantially larger living areas and is situated on the higher floors with stunning UNINTERRUPTED ocean views. This superior, fully air conditioned apartment comprises a master bedroom with 1 King or Queen Bed and private ensuite bathroom with SPA bath, 1 King or 2 Single Beds in the second bedroom, a second spacious bathroom, a fully equipped gourmet granite kitchen, private laundry facilities, spacious lounge and dining area, broadband internet access, Fax/ Modem/Phone, hairdryer, iron/ironing board, colour TV with Free Austar, DVD player, CD player and private balcony with fantastic ocean views. Rate is for 4 guests. Max 6 guests. Extra guest charge $33.00 per guest per night. Cots are extra - $6.60 per night. For your enjoyment, we provide discounted 10% off vouchers for local restaurants. The 2 Bedroom 2 Bathroom Apartment is a luxury, fully self contained apartment with contemporary finishes and furnishings, featuring a large, furnished entertaining balcony with views of either the beach, garden, pool, Surfers Paradise city or the country/hinterland, a seperate bedroom with 1 Queen Size Bed and a private ensuite bathroom, a second bedroom with 2 Single Beds, a second private bathroom with separate shower & bath, a fully equipped gourmet kitchen with Bosch appliances including dishwasher, full size refrigerator, freezer, oven, microwave oven, tea and coffee making facilities, full laundry facilities including a washing machine, clothes line/airer, iron/ironing board and clothes dryer, sair-conditioning (in living area and master bedroom), a seperate spacious lounge room, colour TV, 10 FREE channels of Austar cable TV, DVD player, CD player, direct internet access, security intercom, modem/data port connection, direct dial ISD/STD telephone, hairdryer, alarm clock, dial-up internet and all linen is provided. The rate is for 4 guests. Maximum occupancy is 5 guests. Extra guest charge is $50 per night. Bayview Waters Apartments are located on the northern end of the Gold Coast at Runaway Bay in the heart of the Gold Coast Broadwater, centrally situated for access to all popular Gold Coast tourist destinations including theme parks, beaches, restaurants, bars, nightlife, shopping centres, golfing and much more. The Bayview Waters Waterfront Apartments offer 2 bedroom apartment accomodation in Runaway Bay, all of which have two bedrooms and two bathrooms, a fully equipped kitchen with microwave, private laundry facilities with washing machine, dryer and iron, colour TV, air conditioning & ceiling fans, private laundry, 24 hour direct dial ISD/TD telephones, cot & high chair hire (fee applies), underground security parking, intercom security system and are complete with linen. and . The apartments, which are serviced weekly, are waterfront apartments with delightful canal views. Surrounded by lush tropically landscaped gardens, the self-contained apartments at Bayview Waters offer the ultimate in affordable family accommodation. Guests can relax on a private balcony looking out to serene water views or splash around in the solar heated pool and spa beside the outdoor Barbecue Entertainment area. Fully self contained and air conditioned 2 bedroom, 2 bathroom apartment comprising master bedroom with 1 Queen bed and private ensuite bathroom, second bedroom with 2 single beds, second bathroom, fully equipped kitchen with microwave & dishwasher, private laundry facilities with washing machine & dryer, lounge room with colour TV & DVD player, 24 hour direct dial ISD/STD telephone, fax/modem telephone line and Ironing equipment. Rate is for 4 guests. Maximum occupancy is 6 guests. Extra guest charge $25 per guest per night. Address : 19 ALBERT AVENUE, BROADBEACH, 4218. Rates are for 4 people. Maximum occupancy is 4 people. Bedding configuration is 1 King and 2 singles or 2 Queen Beds upon request, 2 bathrooms en-suite with spa. Full kitchen, separate laundry. Most with ocean view from bedrooms,lounge opening onto private balcony. Full air cond. If you need an extra person please also put it in the comments below that you need an extra bed. DREAMING OF THE ULTIMATE HOLIDAY - DREAM NO FURTHER - Stunning OCEAN views from your private SPA!!! The 2 Bedroom, 2 Bathroom and Study Spa Apartment is an extremely spacious air conditioned and non smoking apartment featuring self contained, open plan living with a very spacious balcony and in room spa bath. The apartment further comprises 1 Queen Size Bed in the separate master bedroom, 2 Single Beds in the second separate bedroom, 2 private bathrooms with separate shower, the main with SPA bath, reverse cycle air conditioning, Broadband internet access, fully self contained state of the art kitchen including a full size refrigerator and dishwasher, full private laundry facilities including washing machine, iron, ironing board and clothes dryer, colour TV, FREE Austar TV, stereo/CD player, DVD player, hairdryer, radio and tea/coffee making facilities. All linen etc is provided. Apartments are serviced weekly, however, for longer stays of 8 days and over a mid stay housekeeping service will be provided. The rate is for 4 guests. The maximum occupancy is 5 guests. The extra guest will be accommodated in a roll away bed. Extra guest charge is $20 per guest per night. Cots are available at extra charge. Children under 2 years of age stay free if using existing bedding. This apartment is located on the 22nd floor to offer magnificent ocean views from the spa bath, spacious apartment and balcony. The 2 Bedroom, 2 Bathroom and Study Spa Apartment is an extremely spacious air conditioned and non smoking apartment featuring self contained, open plan living with a very spacious balcony and in room spa bath. The apartment further comprises 1 Queen Size Bed in the separate master bedroom, 2 Single Beds in the second separate bedroom, a further 2 Single Beds in the seperate study, 2 private bathrooms with separate shower, the main with SPA bath, reverse cycle air conditioning, Broadband internet access, fully self contained state of the art kitchen including a full size refrigerator and dishwasher, full private laundry facilities including washing machine, iron, ironing board and clothes dryer, colour TV, FREE Austar TV, stereo/CD player, DVD player, hairdryer, radio and tea/coffee making facilities. All linen etc is provided. Apartments are serviced weekly, however, for longer stays of 8 days and over a mid stay housekeeping service will be provided. The rate is for 6 guests. The maximum occupancy is 7 guests. The extra guest will be accommodated in a roll away bed. Extra guest charge is $20 per guest per night. Cots are available at extra charge. Children under 2 years of age stay free if using existing bedding. The 2 Bedroom, 2 Bathroom and Study Spa Apartment is an extremely spacious air conditioned and non smoking apartment featuring self contained, open plan living with a very spacious balcony and in room spa bath. The apartment further comprises 1 Queen Size Bed in the separate master bedroom, 2 Single Beds in the second separate bedroom, a further 2 Single Beds in the seperate study, 2 private bathrooms with separate shower, the main with SPA bath, reverse cycle air conditioning, Broadband internet access, fully self contained state of the art kitchen including a full size refrigerator and dishwasher, full private laundry facilities including washing machine, iron, ironing board and clothes dryer, colour TV, FREE Austar TV, stereo/CD player, DVD player, hairdryer, radio and tea/coffee making facilities. All linen etc is provided. Apartments are serviced weekly, however, for longer stays of 8 days and over a mid stay housekeeping service will be provided. The rate is for 6 guests. The maximum occupancy is 7 guests. The extra guest will be accommodated in a roll away bed. Extra guest charge is $20 per guest per night. Cots are available at extra charge. Children under 2 years of age stay free if using existing bedding. This apartment is located on the 14th floor to offer magnificent views!! The 2 Bedroom 2 Bathroom Apartment is a fully self contained non smoking 2 level apartment spectacularly furnished in Santa Fe style with a superb design and superior finish. Ideal for a family, the apartment features private retreat for parents. The upstairs offers a separate master bedroom with 1 Queen Size Bed, private ensuite bathroom and large private balcony. Downstairs is the second separate bedroom with 2 Single Beds, a seocnd private bathroom with shower, toilet and hairdryer, a fully equipped kitchen with refrigerator, dishwasher, microwave, stove, oven, crockery and cutlery, private laundry facilities with washing machine, clothes dryer and ironing facilities, air conditioning and heating, alarm clock, radio, wake up calls, a sofa bed, wireless internet access, a colour television, FREE cable TV, DVD player, direct dial telephone, spacious dining/living area with glass sliding doors to the private balcony with parkland views. The rate is for 4 guests. The apartment caters for a maximum of 5 guests. The extra guest charge is $25 per guest per night. Cots are available at an extra charge of $10 per night. Children under 3 stay FREE OF CHARGE if using existing bedding. Quality 2 bedroom spacious apartment accommodation in Surfers Paradise that is fully equipped. All apartments have their own kitchen and laundry, 2 bedrooms with 1 Double bed and 2 Single Beds, 2 bathrooms, 2 toilets, balcony / courtyard, Satellite / Cable TV, ceiling fans , air-conditioning, Wireless / WiFi and Broadband. Rates are for 4 guests. Max is 5 guests. Extra guest charge applies. The Grand Apartments is a new 4.5 star luxury one and two bedroom apartment resort overlooking the beautiful Gold Coast Broadwater. This luxury Gold Coast resort boasts three restaurants, cafes, pokies, spa, heated pool, sauna, steam room, BBQ, gym and friendly staff who offer great service. The state of the art apartment accommodation at the Grand Apartments is fully self contained with large furnished balconies and has been specifically designed to make sure that your next family holiday features everything that you would need. 2 Bedroom Excutive unit: 1 Queen & 2 singles. 2 Bedroom Apartment with 1 Bathroom. A foldaway can be added to unit for extra person. Rates are for 1-4 share. Maximum occupancy is 5, extra person charge applies. A $300 deposit will be taken on receipt of booking from credit card provided . Cancellation Policy: If booking is cancelled 14 days or more prior to arrival deposit is refundable less adminstration fee. Bookings cancelled 14 days or less prior to arrival deposit is non refundable.. If arriving outside reception hours please advise resort. The Two Bedroom Apartment features floor to ceiling glass to fill the apartment with natural light and allow appreciation of the magnificent city or river views. The apartment is fully self contained and open plan further featuring specially commissioned finishes in glass, stone and stainless steel. This luxury SPA apartment comprises a Double/Queen bed in the master bedroom and 2 Single beds in the second bedroom, a large, furnished private balcony with wonderrful city or river views, a luxury private ensuite bathroom with in room spa bath and seperate shower, hairdryer and exclusive complimentary toiletries, climate controlled air conditioning and heating, full laundry facilities including washing machine and clothes dryer, a fully equipped gourmet kitchen with stone or vitrified slab bench tops and stainless steel appliances with gas cooktop, oven, microwave, refrigerator and dishwasher, continuous central hot water supply, spacious lounge room with quality furnishings and a seperate alcove with a double sofa bed, LCD television, cable television (Foxtel IQ), DVD player, CD/mini hi-fi system, alarm clock-radio, study area with direct-dial ISDN telephone and broadband internet access, iron and ironing board and key-card room access. Rate is for 5 guests. Maximum 6 guests. Extra guest charge $25 per night. Wake up to the sounds of the sea as this apartment is located on the 20th to 41st level and features direct ocean views!! The Two Bedroom Spa Apartment features floor to ceiling glass to fill the apartment with natural light and allow appreciation of the magnificent ocean views. The apartment is fully self contained and open plan further featuring specially commissioned finishes in glass, stone and stainless steel. This luxury SPA apartment comprises a Double/Queen bed in the master bedroom and 2 Single beds in the second bedroom, a large, furnished private balcony with wonderful ocean views, a luxury private ensuite bathroom with in room spa bath and seperate shower, hairdryers and exclusive complimentary toiletries, climate controlled air conditioning and heating, full laundry facilities including washing machine and clothes dryer, a fully equipped gourmet kitchen with stone or vitrified slab bench tops and stainless steel appliances with gas cooktop, oven, microwave, refrigerator and dishwasher, continuous central hot water supply, spacious lounge room with quality furnishings inc a seperate alcove with a double sofa bed, LCD television, cable television (Foxtel IQ), DVD player, CD/mini hi-fi system, alarm clock-radio, direct-dial ISDN telephone and broadband internet access, iron and ironing board and key-card room access. Rate is for 4 guests. Maximum 6 guests. Extra guest charge $25 per night. Our spacious 2-bedroom apartments have a large main bathroom plus an ensuite to the main bedroom, large lounge adjoining the balcony and separate dining area. The apartments are well equipped with a modern kitchen and separate laundry. A secure car park, sparkling pool and BBQ complete the complex facilities. Self contained 2 bedroom apartment featuring a Queen & 2 Single beds, full kitchen facilities, private laundry facilities, internet access, TV with DVD player & free cable TV, hair dryer, direct dial phone and a private balcony. 2 bedroom apartments with a spacious lounge / dinning area which leads onto private balcony overlooking the spa , swimming pool & BBQ area. Fully equiped apartment featuring fully ducted reverse cycle air conditioning, 20 megabytes ADSL+2 internet connection per day, 10 channel Austar, dual filter drinking water tap and bedding of your choice, 2 Queen Beds or 1 Queen & 2 Single Beds or 4 Single Beds. Delightful, modern 2 bedroom apartment (1 bedroom apartment & hotel room with interconnecting foyer). The apartment includes a full kitchen , balcony / courtyard, air con, internal laundry. This rate is for 4 guests. Accommodates max 6 guests. Extra guest charge applies. Cots available on request at extra charge. The Deluxe 2 bedroom apartment is perfect for those wanting a beautifully renovated apartment with all modern conveniences plus air conditioning. The apartment is fully self-contained with modern furnishings and appliances including 1 Double bed in the master bedroom and 2 Single beds in the second bedroom, a luxurious private bathroom, fully equipped kitchen, including microwave, oven, toaster, etc, laundry, spacious lounge and dining area, air-conditioning, ceiling fans, colour TV, DVD player, ironing equipment and a large private balcony providing panoramic views. Rate is for 2 guests. Maximum 4 guests. Extra guest charge $25 per guest per night. Cots are available at an extra charge of $15 per night. The 2 bedroom standard apartment is perfect for those wanting a great deal - with fantastic views and perfect location. The apartment is fully self-contained with 1 Double bed in the master bedroom and 2 single beds in the second bedroom, a luxurious private bathroom, fully equipped kitchen, including microwave, oven, toaster, etc. and spacious lounge and dining area, ceiling fans, colour TV, ironing equipment and a large balcony providing panoramis views. Rate is for 4 guests. Maximum 6 guests. Extra guest charge $25 per guest per night. Cots are available at an extra charge of $15 per night. The Executive Apartments at the Asiapac Apartments Robina provide the perfect corporate business accommodation on the Gold Coast. Situated only a short distance from the Pacific fair & Oasis Shopping Centres, Jupiters Casino and the fabulous Broadbeach area with it's many restaurants, cafes and patrolled beach the Asiapac Apartments is the ideal Gold Coast holiday destination. This 2 bedroom apartment has a Queen size bed, 2 Single Beds, Austar, full office with fax/scanner/copier/printer and desk, fully equipped kitchen and laundry, private balcony and car park. Hi Surf 2 bedroom apartments have a private balcony, spacious living area, family bathroom facilities, well-equipped kitchen with wall oven, hot plate, rangehood, dishwasher, microwave & fridge/freezer, washing machine & dryer, remote control TV with Foxtel cable TV, telephone, iron & ironing board, hair dryer & a clock radio. Spacious 2 bedoom 2 bathroom apartment featuring wide ocean views during the day,and a fairyland of lights at night. Relax on your private balcony and enjoy the view. All apartments have full kitchenand laundry facilities as well as ironing equipment, TV, CD player, internet access and bath in second bathroom. The spacious and self contained 2 bedroom Spa Apartment is beautifully appointed and features a large balcony with panoramic ocean, waterway and hinterland views. This state of the art, luxury apartment comprises a Queen Bed in the main bedroom which has its own private ensuite bathroom and walk in wardrobe and 2 Single beds in the second bedroom. Both bedrooms have access to the spacious balcony that provides serene views of the Pacific Ocean. Further inclusions - air conditioning, a fully equipped kitchen including FULL crockery/cutlery, dishwasher, refrigerator & microwave oven, 2 bathrooms, SPA bath, ceiling fans, private laundry facilities including a washing machine & dryer, a spacious lounge room with Pay/Satellite colour TV, DVD player, Facsimile/Modem point, telephone and stereo/CD player. All apartments have high speed elevator and security access. Rate is 4 guests. The apartment caters for a maximum of 5 adults, and a maximum of 3 children but cannot exceed 7 guests in total. Extra guest charge $35.00 per guest per night. Spacious 2 bedroom apartment comprising main bedroom with Queen Bed plus ensuite & 2nd bedroom with 2 Single Beds. All apartments have balconies, air-conditioning, Foxtel TV, fully kitchen facilities with microwave & dishwasher plus fully equipped laundry with washing machine and clothes dryer. Rates are for 4 guests. Max. 6 guests. Extra guest charge applies. The 2 bedroom penthouse is on the third floor of a 3 storey walk up building and is spread over two levels. The entry level has a large lounge, kitchen, dining room, bathroom and separate laundry. There is also an area off from the dining room which has two sofa beds which can fold down into very comfortable double beds, if required. The upper level has two queen size bedrooms, both with ensuites and air-conditioning. There is also exclusive access to the rooftop area which has a private outdoor setting and BBQ. Rates are for 4 people. The penthouse caters for a maximum of 6 adults, and a maximum of 4 children but cannot exceed 6 guests in total. The spacious fully self contained and air conditioned two bedroom apartment is located between levels 12 & 32, featuring magnificent ocean and/or hinterland views. The apartment is open plan comprising 1 Queen bed in the master bedroom, 2 single beds in the second bedroom, a private bathroom with in room spa bath, a spacious private balcony, a seperate large entertainment area with fully equipped gourmet kitchen, colour TV, cable television, pay-per-view movies, DVD player, stereo, fully equipped laundry with washing machine and dryer, hairdryer, radio, telephone and alarm clock. Rate is for 5 guests. Maximum occupancy is 6 guests. Extra guest charge $25 per guest per night. Children up to 2 stay free in existing bedding. The 2 Bedroom 2 Bathroom Villa is a fully self contained non smoking villa set in tropical gardens featuring 2 balconies with views towards either the gardens or the beautiful harbour. The villa further offers stylish furnishings, air conditioning and ceiling fans, a spacious seperate master bedroom with 1 Queen Size Bed and private ensuite bathroom, a second seperate bedroom with 2 Single Beds, a second private bathroom with bath, shower, toilet and hairdryer, a fully equipped kitchen including microwave, full size refrigerator & dishwasher,a spacious open plan living /dining area, colour TV, FREE cable TV, DVD player, direct ISD & STD telephone with modem facility, wireless internet access (fees apply), radio, alarm clock and private laundry facilites with washing machine, clothes dryer and ironing equipment. The rate is for 4 guests. The apartment caters for a maximum of 5 guests. The extra guest charge is $25.00 per night. Children under 3 stay FREE OF CHARGE if using existing bedding. Cots are available at an extra charge of $6.00 per night. The 2 Bedroom 2 Bathroom Apartment is a fully self contained non smoking apartment set in tropical gardens, featuring a patio with views towards either the gardens or the beautiful harbour.. The apartment further offers stylish furnishings, air conditioning and ceiling fans, a spacious seperate master bedroom with 1 Queen Size Bed and private ensuite bathroom, a second seperate bedroom with 2 Single Beds, a second private bathroom with bath, shower, toilet and hairdryer, a fully equipped kitchen including microwave, full size refrigerator & dishwasher,a spacious open plan living /dinig area, colour TV, FREE cable TV, DVD player, direct ISD & STD telephone with modem facility, wireless internet access (fees apply), radio, alarm clock, and private laundry facilites with washing machine, clothes dryer and ironing equipment. The rate is for 4 guests. The apartment caters for a maximum of 5 guests. The extra guest charge is $25.00 per night. Children under 3 stay FREE OF CHARGE if using existing bedding. Cots are available at an extra charge of $6.00 per night.